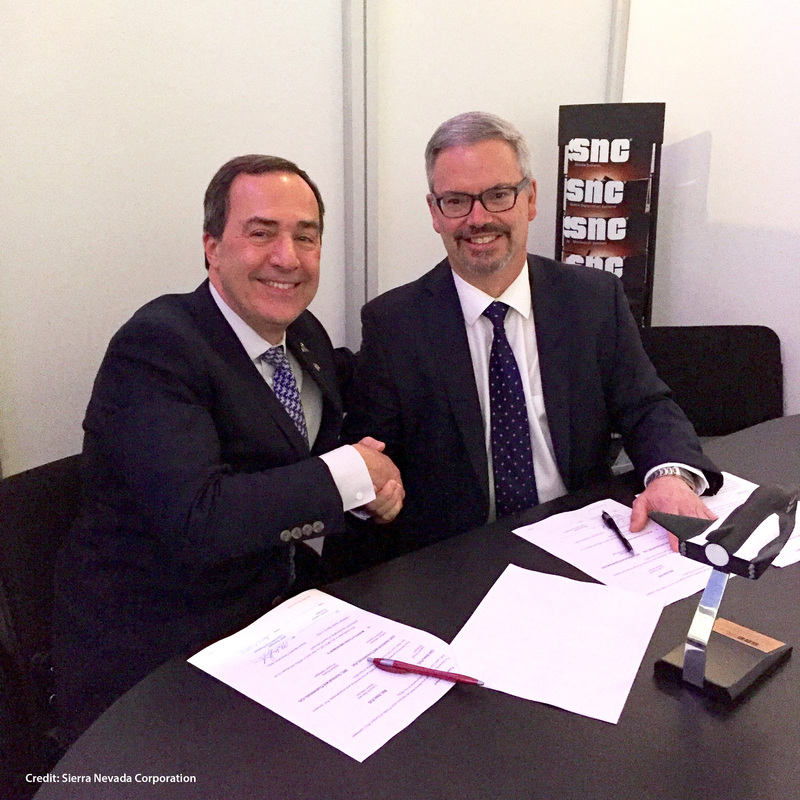 October 3, 2017 – Sierra Nevada Corporation (SNC) signed a Memorandum of Understanding with the Canadian Space Agency (CSA) to explore possibilities of using the Dream Chaser spacecraft for future CSA missions and to facilitate the exchange of information between SNC and Canada. The agreement is a significant step toward greater collaboration to develop Dream Chaser technologies and applications that are mutually beneficial for SNC, the Canadian space industry and academia. “Canada’s world-class reputation as a leader in multiple space technology areas such as robotics has led to this new international collaboration with Sierra Nevada Corporation. We are looking forward to providing the expertise of Canadian firms and researchers to help develop next-generation technologies for the Dream Chaser and contribute to its success,” said Canada’s Minister of Innovation, Science and Economic Development, Navdeep Bains. SNC’s Dream Chaser spacecraft is a reusable, multi-mission space utility vehicle. It is capable of transporting cargo to and from low Earth orbit, where the International Space Station resides, and is the only commercial, lifting-body vehicle capable of a runway landing, like NASA’s former Space Shuttles. Under an existing contract with NASA, SNC will be doing a minimum of six Dream Chaser cargo missions to the ISS by 2024. The first two missions are set to take place in 2020 and 2021.